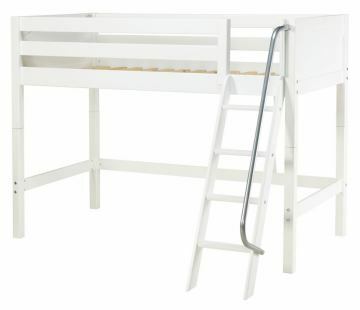 This solid hardwood Mid Loft bed makes going to bed fun! 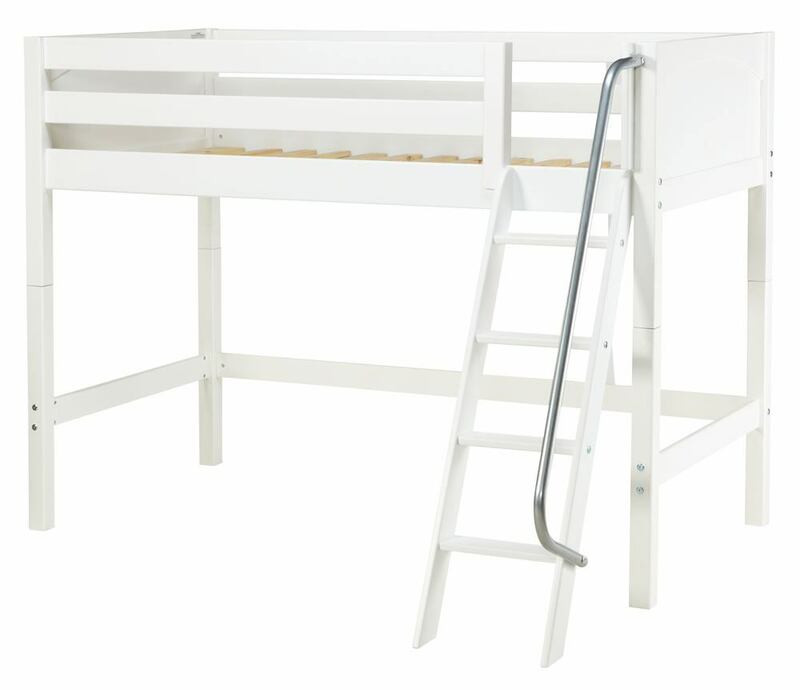 The unique leg extension system lifts our basic twin bed off the ground to create extra play or storage space under the bed, while creating an elevated sleeping surface. Unique, patent pending Rock Lock mechanism ensures a rock solid connection. Add storage units that fit exactly under the bed to use every inch of space. 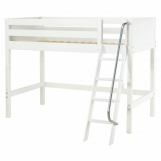 The added angle ladder with metal handrail and extra deep and grooved steps makes getting in and out of bed safe and easy.